Seriously though… aren’t you like, “DUH, don’t you get it?” when you see people on Facebook complain, but then say they’re “not interested” before they even know what they’re saying “no” to? Or how about when your prospect gets all excited and you think they’re just going to go nuts with the business, and then 2 days later, they are totally M.I.A.? Like seriously though, what kind of wimps do that?! hahaha! I don’t know if it’s just me, but have you ever felt like strangling skeptics when they complain, but don’t want a solution, and immediately turn into doubters, haters, and energy sucking toxic dream stealers? So years ago we jumped into Network Marketing, learning that leverage is the best idea ever. Then they told us to run around chasing people, and we found out pretty quickly… NOPE. NOT into it, LOL! Right away, we figured out that mastering social media to connect with people helped us build fast, and we were quickly questioned by an up-line for trying “that interweb stuff”. As an entrepreneur you’re always looking for the best way to build your business, constantly searching to find the “missing ingredient”. This is because we’re never sure who will actually do the work that it takes. Now if your up-line mentor built their business 10 years ago and had success using all of the old school recruiting methods, then from their perspective, face-to-face and belly-to-belly are the methods work the “best”. But we didn’t have that, and most of their downlines has caught on to the social media recruiting strategies, and the old schoolers are trying to “catch up” to the times, because most networkers now believe that Social Media Recruiting is the “ONLY fastest” way to go! Now you’ve already spent hours upon endless hours building a team, training, and constantly teaching and talking to people on the phone, one-by-one. Seriously, it was out of hand. The more successful we got, the more “busy” we got, and I was starting to snap. We were on the smart phones every single waking moment. This is my wife in the pic, while driving. Every time we got in the car or tried to do anything… Does that remind you of anyone? hahaha! By now, at least 1000 times, you’ve probably had your head down in your phone prospecting on Facebook when you’re really supposed to be “present“, spending quality time with your significant other, right? You’ve also most definitely tried the “subtle approach” with your friends and family, (who seem to instinctively know how to avoid the subject, lol)! You learned from every mistake, and you may have built some skills, but I believe you’ll be super relieved to learn even more leveraged marketing here, so you can save yourself a whole buttload of TIME. Having actually quality focused TIME was important for us to figure out, because we were starting to feel guilty about our begging for our attention. Step 1: Who Is Your Perfect Prospect? So now, what if you could create enough curiosity to get them to show interest in what you’re doing, and then even contact YOU to ask more about your business? Can you imagine that? What if instead of presenting your Billion Dollar Company or products, you can first identify your perfect prospect’s problems, address their needs, and then provide the exact solutions for ’em, and they actually close themselves! You never have to chase people down or try to sell them products or “convince them” into your business when you do this right. Instead, you can attract motivated entrepreneurs by demonstrating your value and your leadership, and you can do this all through effective marketing. In fact, in the past 3 weeks alone, I’ve had over 60 people “opt-in” and COME TO ME for more information on what I have. That’s a lot different of a situation than “chasing” people, isn’t it? After you “learn, do, and teach”, you become extremely valuable, and then you realize that people aren’t signing up with your company – they’re signing up with YOU, because you know your sh*t, and you can help them finally CRUSH it). They’ll want to do whatever you’re doing, no matter what it is, because of your own personal value to them. You’re have the solutions for what they want. I’m not sure where you are with your business, but personally, I was burned out on being on the phone all the time, head-down in social media, exposing, 3-way cold calling, and pitching dis-interested skeptics. The follow up took forever, and “selling” and convincing unqualified skeptics was not the way for me any more. The systems we have save us a TON of time, and now you only jump on the phone with someone if they are already qualified and interested, or want to join your business immediately. But if you want to start working at a higher level, you gotta start positioning yourself with as much credibility as possible, so you can attract high-caliber go-getters! It’s why the pharmaceutical drug companies hire the well known actors and actresses in for their commercials. People know their face and trust them. If you’re a network marketer, (or ANY marketer), you must differentiate from all of the other distributors with the same product out there, and when you have the credibility, people have belief, and that will help them get results. One of the greatest personal breakthroughs you will ever have is when you find a generate multiple streams of income, even when people say “no” to your primary MLM business. I actually used to take it personal and I’d get frustrated when someone didn’t think that my idea was the best thing they’d ever seen in their life, lol! It’s great to finally realize that not everyone is going to see things the way you do, and you’re no longer attached to whether they say “yes” or “no” to your primary opportunity, so you can just relax when you’re out with your spouse at dinner! Also, if anything happens to their primary business or they’re not getting the support/training they need, they usually come back to learn more about you, because you’re now their coach. You’ve built trust by being extremely valuable to them. Sooner or later, we all realize, it’s not a product or service that can get you everything you want in your life. It’s a person that can mentor/teach you how to make a real big income. Step 6: Build Your Freakin’ Empire! Networking Marketing professionals understand that their goal is not to simply build a down-line or home business. It’s to brand yourself and build a professional business that has solutions and serves an entire industry. Imagine not having to reach out with small talk any more! LOL. (You’ll feel so good about that!) But instead attracting only high-caliber self-starting entrepreneurs, simply by solving problems and adding value. You will attract thousands of entrepreneurial professionals to your email list, and generate tens or even hundreds of leads and customers, every week. 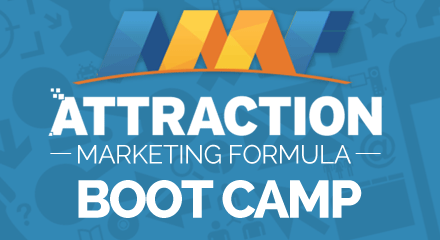 Our blueprint for all of this is outlined inside this 10-Day Online Recruiting Bootcamp, which will teach you the power of ‘Attraction Marketing’, and is specific to your needs if you’re a Network Marketer.